Time Machine VR requires an Oculus DK2 or Crescent Bay. Controller REQUIRED, Xbox 360 and Xbox One controllers supported. A plague is consuming humankind. Civilization faces extinction. As a time-travelling scientist, you must go back to the Jurassic and face ancient creatures whose DNA holds the key to our survival. 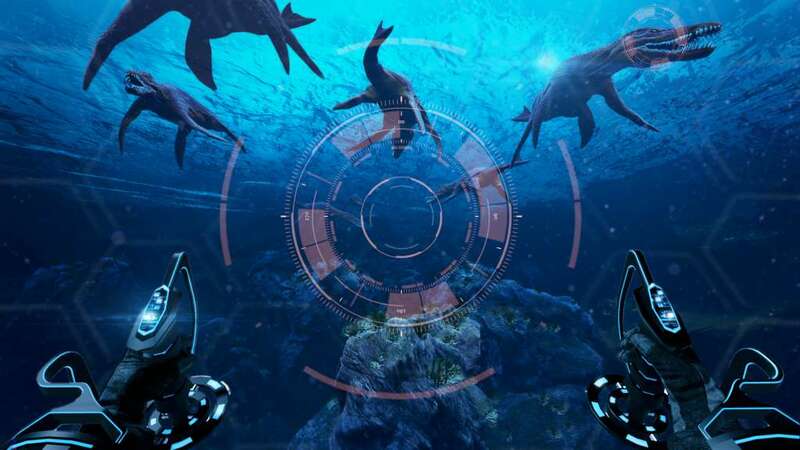 Pilot your time machine through prehistoric oceans, into an ecosystem teeming with ancient creatures. Navigate a dangerous food chain, tracking, probing, scanning and baiting these beasts, and save the human race. Help us make Time Machine VR the best that it can be. You begin your journey inside your mission hub, in Svalbard, Norway. It shelters your time machine and comes equipped with the DinoDex, a depository of the information you will collect from the prehistoric creatures you encounter. Every time you return to Svalbard with new discoveries, upload them to the DinoDex to unlock crucial data and creatures. This will help you find the cure to the epidemic devastating humankind. 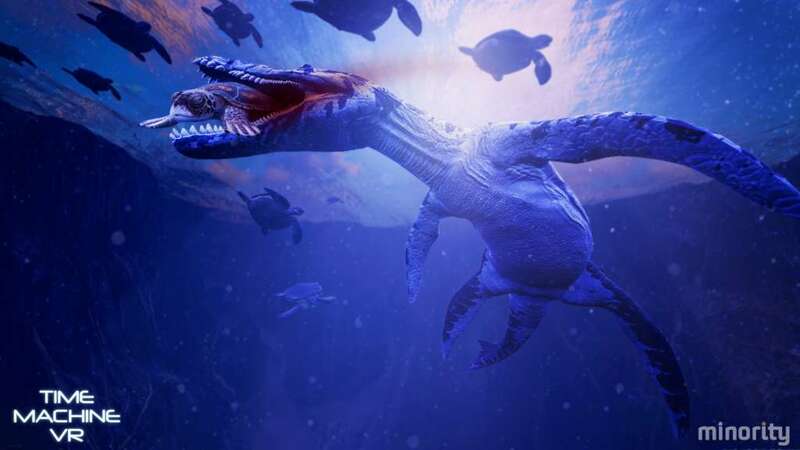 Travel to the treacherous oceans of prehistory, where dakosaurus, pliosaurus and ophthalmosaurus, among others, roam the deep. 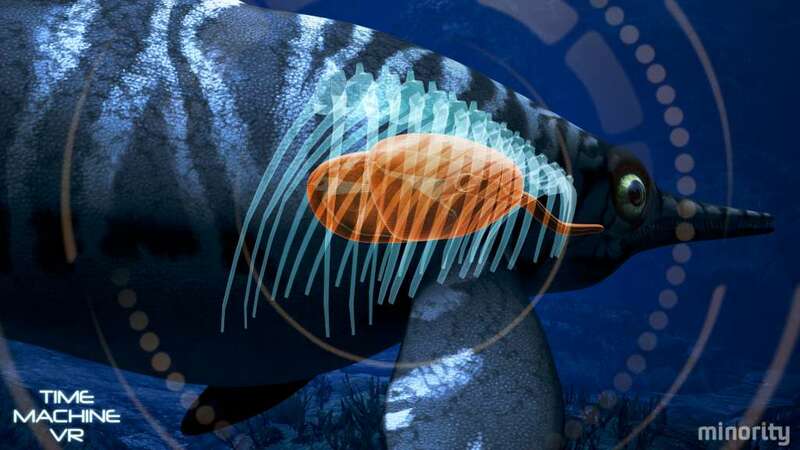 Use your high-tech equipment to track, probe and scan these beasts, extracting the information you need. Bait creatures to turn risky situations to your advantage. Freeze time and perform dangerous close-up echography as you strive to fulfill your mission. 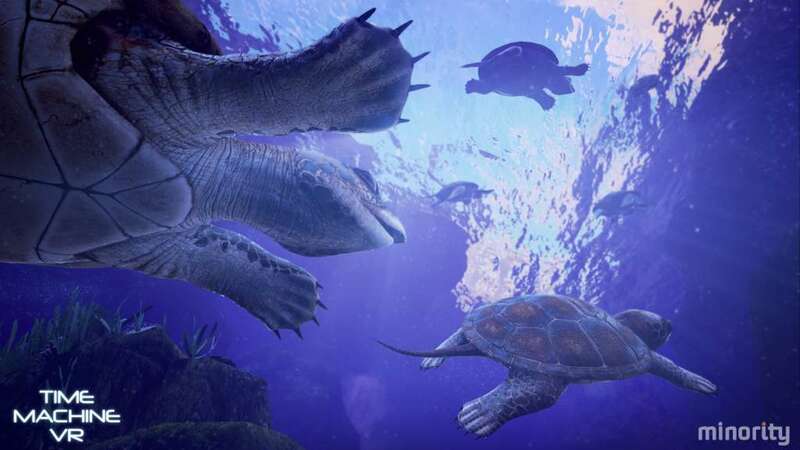 Revisit completed levels and unlock crucial intelligence about the Jurassic-era creatures you have faced. Then, follow these clues to uncover the key to humankind’s survival. Exploration mode still requires a lot of development, but we plan on expanding it with every major update. Have your say: talk with our dev team and take part in the development of Time Machine VR when you buy it on Early Access! Advanced Time Freeze, Tracker, Probe, and Scan mechanics. 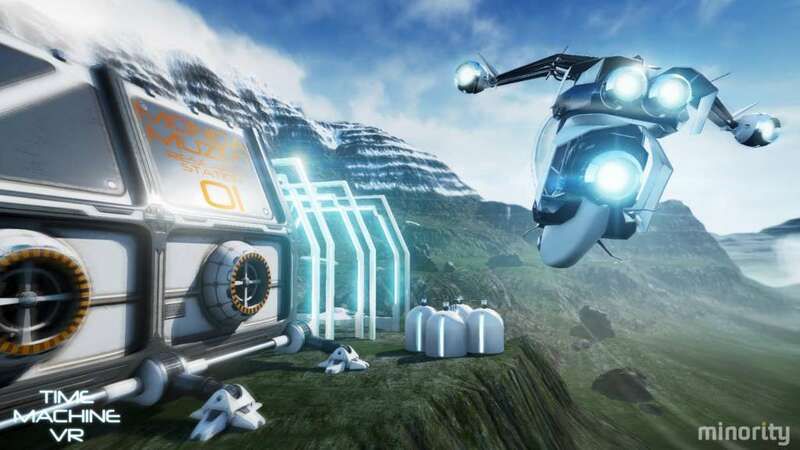 Have your say: talk with our dev team and take part in the development of Time Machine VR! Additional Notes: requires an Oculus DK2 or Crescent Bay. Controller REQUIRED, Xbox 360 and Xbox One controllers supported.